Enjoy these close-ups of Baltimore and Bullock's Oriole birds! If you hear a soft cooing sound near your home, it's probably this gentle giant. Keep squirrels off of your bird feeders with these simple tips. 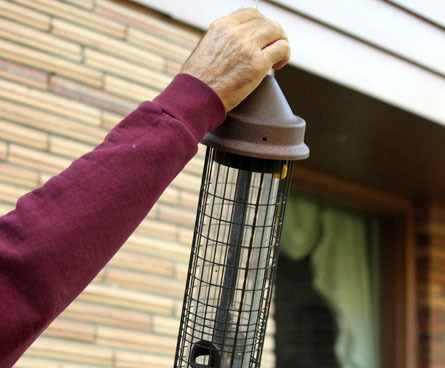 When it comes to hanging a bird feeder, there isn't just one right way to do it. 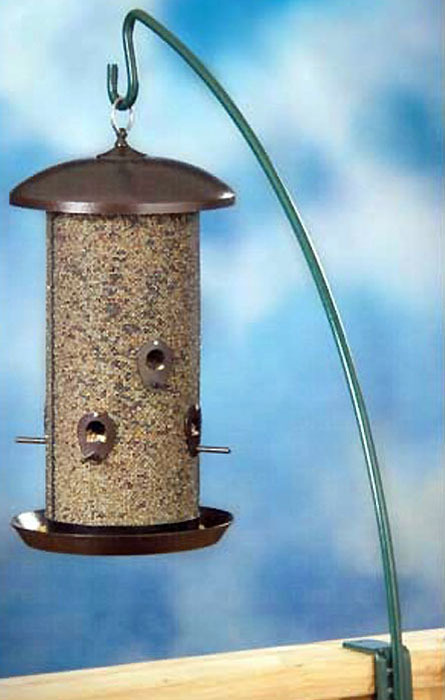 Many feeders come with wire or string hangers attached, and all you need to do is find someplace to hang the feeder up. If you want to be creative, or if your feeder needs more complicated mounting, there are a few different ways to go. 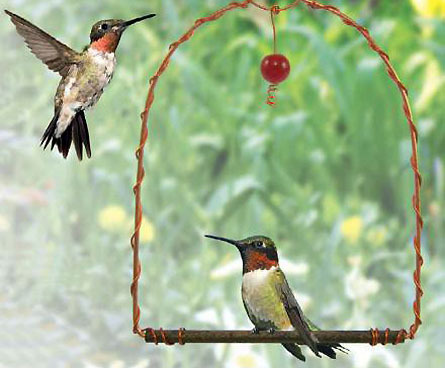 Whether you are hanging a small hummingbird feeder or a large cardinal hopper feeder, start by considering location. 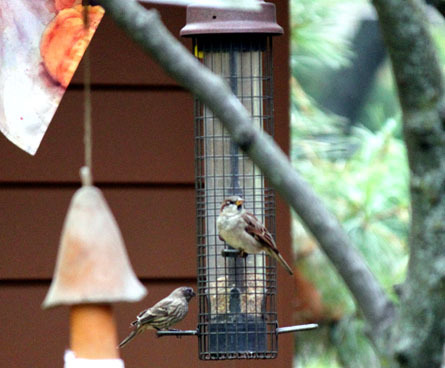 What is the best place to hang that type of bird feeder in your yard? Use a long rope, chain or bungee cord to secure a line to the tree. Make sure it has an S-hook or loop on the end for easy access. 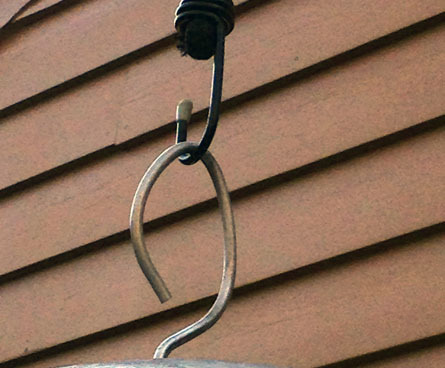 If you are attaching a squirrel guard to the feeder, hook it onto the cord before adding the bird feeder. Finally, connect the bird feeder to the squirrel guard or hook and make sure it's hanging at the right height. 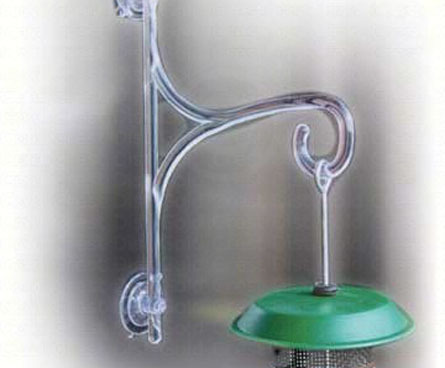 Some bird feeders or guards have adjustable hangers that allow them to be raised or lowered as needed. Now you can sit back and watch the birds eat at their new feeder. Even with a squirrel guard, squirrels can jump several feet and still may be able to get onto your feeder from nearby branches. Using a squirrel-resistant feeder as well as food that squirrels don't love (like safflower seeds or bird food with cayenne pepper) are ideas to consider if you are going to hang your bird feeders from a tree branch. Another way to discourage squirrels and get a good look at your backyard birds is to mount a bird feeder to one of your windows. 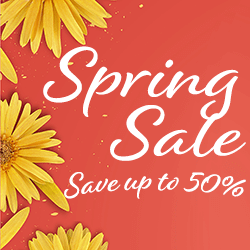 Many people prefer to hang hummingbird feeders near a window so they can see the energetic and tiny hummingbirds visiting the feeder. 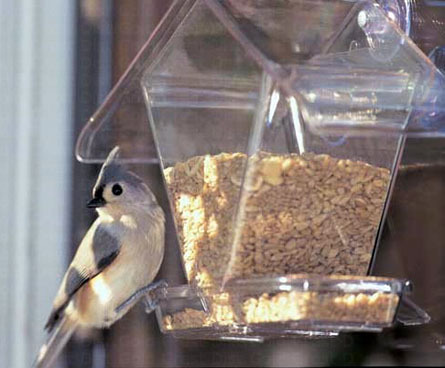 You can also get seed feeders that work well on or near windows. Both feeders bring birds close to you and make them easier to see. What's more convenient than watching birds up close from the comfort of your own home? What kind of mounting hardware do you want to use? 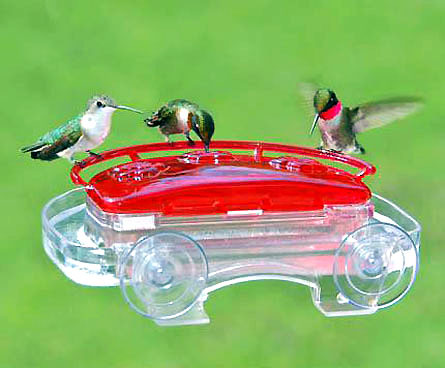 There are suction cup mounts and feeders that bring hummingbirds right to your window. 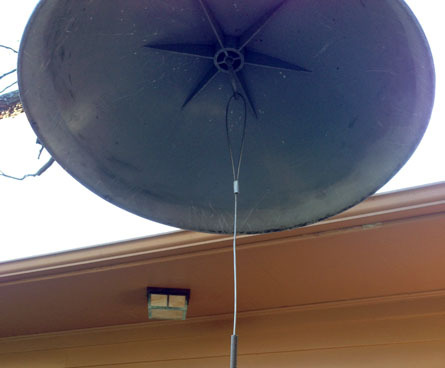 You can also use a string, chain or wire to drop the feeder down below the roofline so you can watch the birds. 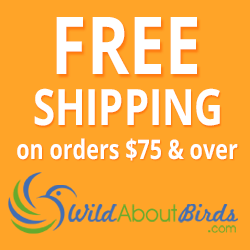 Are you willing to adjust surroundings to protect your birds? From adding window decals to moving planters that cats and other predators can hide behind, if you bring birds in close to your house make sure you help protect them. Not sure that you want to hang feeders on your window or from your roof? You can still watch them feed nearby. A deck hanger or freestanding hook is a great way to add bird feeders just about anywhere you want to put them. Depending on the models, these hangers can accommodate 1-4 bird feeders and can easily be relocated if you don't like the view when you are done, or just want to move the feeders around at different times of year. A wild idea... both of these hangers also make great locations to hang a birdbath. Just something to consider as you plan your bird-friendly yard. Now that we've talked about the different hanging options, let's look at other hanging accessories that can make your bird feeding area more interesting. After all, you want your birds to hang around. A bird swing that gives a birds someplace to rest between meals (or wait its turn). 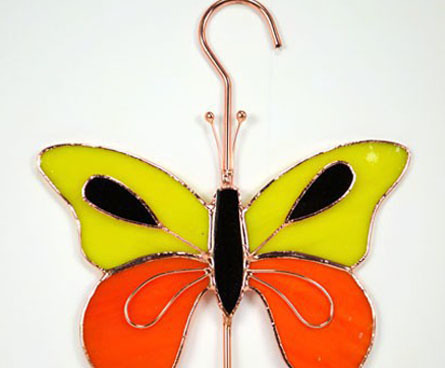 Decorative hangers for bird feeders, bird baths, or anything else you want to hang up for your birds. Window hangers so you can make almost any lightweight bird feeder into a window feeder. 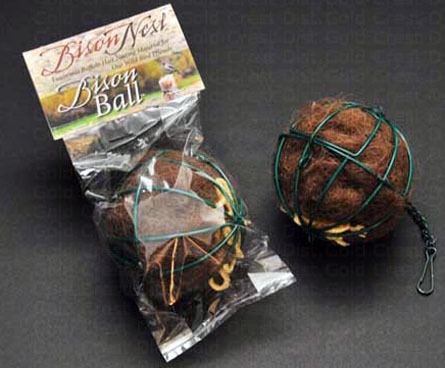 Nesting supplies to help your birds in the Spring. With the right tools and a few accessories, you should be on your way to getting your favorite bird feeders hung up where birds can find them (and squirrels can't). Photo Credit: Bird feeders in park by oroch2 via Depositphotos.com. cc. Other photos by WildAboutBirds.com photographer Judy_NMMI.